The firm’s senior litigator, Doug Stewart, is respected throughout Georgia for his exceptional skills as a trial lawyer. 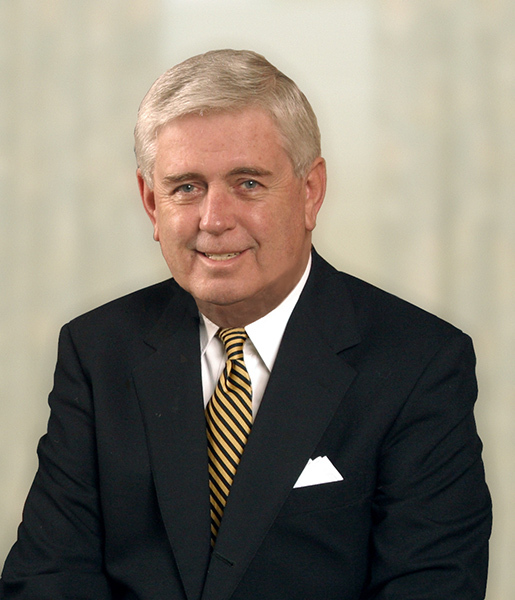 Doug joined Stewart, Melvin & Frost in 1968 and has over 50 years of litigation experience. He is known for truly being an advocate for his clients. His extensive trial work has involved a wide range of commercial contract disputes, trust and estate actions, high-asset will contests, banking and financial controversies, construction cases and domestic relations cases. His experience also includes personal injury cases for plaintiffs and defendants. While Doug has successfully argued cases in both state and federal court, he conscientiously works to resolve disputes prior to trial whenever possible. Doug has been active in the State Bar of Georgia, serving as president, president-elect and treasurer. He has also been a member of the State Bar Board of Governors since 1972. In 1992, he received the State Bar of Georgia’s highest accolade, the Distinguished Service Award. He has served as a member of the Board of Governors of the American Bar Association and served in the House of Delegates from 1985–2005. He has been selected to receive for 2018 the annual Thomas O. Marshall Professionalism Award sponsored by the Bench and Bar Committee of the State Bar of Georgia and selected by the past presidents of the State Bar. This award along with one awarded to a judge are given to honor those who receive the awards and who have and continue to demonstrate the highest professional conduct and paramount reputation for professionalism. Active in his church and community, Doug has served as president of the Community Concert Association, as an active participant in local theatre and musical productions, and as a teacher of Gainesville First United Methodist’s Serendipity Sunday School class for 34 years. He also has served as chair of the church’s administrative board and as a member of the building committee. With undergraduate and law degrees from Emory University, Doug has served as the chairman of Emory’s Law Alumni Association. A member of several trial law organizations, Doug carries an AV Martindale Hubbell rating and is listed in the Best Lawyers in America as well as having been selected by his peers as one of Georgia’s Super Lawyers in Atlanta Magazine. Super Lawyers magazine has named four Stewart Melvin & Frost attorneys to its 2018 Super Lawyer and Rising Stars lists. Doug Stewart, a partner at Stewart Melvin & Frost, has been selected for inclusion in the 2017 Georgia Best Lawyers list. Stewart Melvin & Frost attorneys Doug Stewart, Lydia Sartain and Brook Davidson have been recognized in the 2017 edition of Super Lawyers magazine.